Michael Jackson's doctor had been trying to wean the singer off using a powerful sedative as his sleep-inducing agent, defence attorneys said in a Los Angeles court Tuesday, as the trial of Conrad Murray got underway. Murray is charged with involuntary manslaughter in the 2009 death of Jackson, who at the time was in rehearsals for an upcoming series of concerts in London, England. If convicted, Murray faces up to four years in prison and the loss of his medical licence. In his opening statement on Tuesday, defence attorney Edward Chernoff painted the King of Pop as a man fully aware and completely in charge of his life and forthcoming concert series — a faded pop icon desperate to achieve a massive comeback. Chernoff said it was Jackson, anxious about the upcoming concerts, who proposed using the drug propofol to get some rest — a practice he had reportedly tested out on previous tours, the singer told Murray. Still, at the time of Jackson's death, the doctor was attempting to wean him off propofol in hopes of treating the singer's insomnia through other methods, the lawyer said. He also emphasized Murray's expertise as a cardiologist and said he would introduce witnesses who would testify to the physician's good character and professionalism — contrary to the portrait the prosecution had painted earlier in the day of a doctor who violated "every standard of care." "You need to hear the full story about him," Chernoff said, with Murray seen at times wiping his eyes with a tissue. According to defence attorneys, Jackson's inability to sleep was a byproduct of his longtime use of other drugs, like the pain reliever Demerol. It was the singer's own decision to ingest a fatal mix of drugs (the anti-anxiety drug lorazepam as well as propofol) while Murray was absent from the room that caused a "perfect storm in his body" that led to the singer's death on June 25, 2009, Chernoff said. Chernoff's statement — during which he pledged to focus on scientific testimony concerning propofol — contrasted with the prosecution's opening, which included a shocking audio recording of a drugged Michael Jackson, his distinctive voice nearly unrecognizable. Deputy District Attorney David Walgren outlined the prosecution's case against Murray, claiming that the doctor administered a lethal dose of the powerful sedative to Jackson, that he failed to monitor the singer, and that he delayed a potentially life-saving call to 911. Authorities contend that Murray lacked the proper life-saving equipment to revive Jackson. Jackson trusted Murray as his physician, Walgren said. "That misplaced trust in Conrad Murray cost Michael Jackson his life." Along with showing photo slides of Jackson's body slumped on a gurney in a California hospital and the bed at home where he died, Walgren played several audio recordings — including a startling one Murray had captured on his cellphone in May 2009. The famed singer's speech is slurred as he speaks about wanting to impress fans with his forthcoming concert series. "When people leave this show, when people leave my show, I want them to say, 'I've never seen nothing like this in my life. Go. Go. I've never seen nothing like this. Go. It's amazing. He's the greatest entertainer in the world," Jackson says on the recording. However, the voice known from blockbuster hit songs like Thriller, Billie Jean and Beat It is weak and almost unrecognizable as he was "highly under the influence of the propofol," according to Walgren. The prosecution also outlined details of Jackson's final days, Murray's phone and email records, the doctor's actions and his interview with authorities, and the massive amount of propofol and other sedative agents Murray purchased while caring for Jackson. He also blasted the doctor for withholding information to everyone from Jackson's staffers, paramedics, emergency room medical staff and police after the singer's death. "Conrad Murray, as the doctor on scene, had a legal duty of care to use his best medical judgment to do no harm to Michael Jackson. 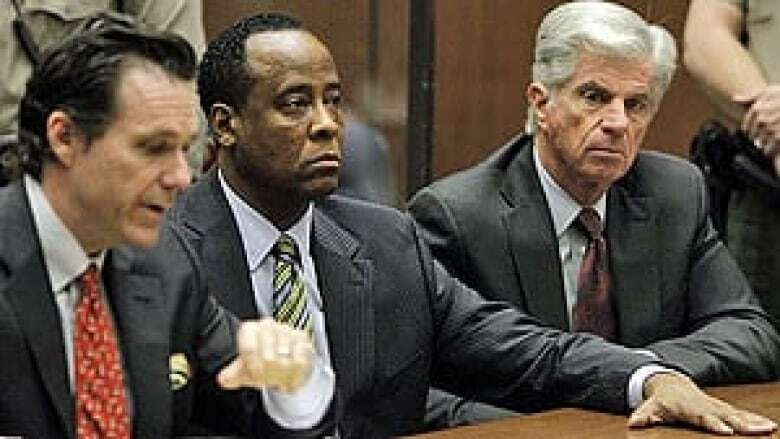 Conrad Murray, with his eyes on an anticipated $150,000-a-month lucrative contract, instead agreed to provide Michael with massive amounts of propofol on a regular basis [which defies] all standards of medical care," Walgren said. On the day of the singer's death, Murray "literally and figuratively abandoned Michael Jackson," left him full of drugs and "with no medical monitoring equipment, no resuscitation equipment, to fend for himself. It violates not only every standard of care, but decency from one human being to another." The Jackson family was in attendance at the courthouse, including father Joseph, mother Katherine, sisters LaToya and Janet, and brothers Jermaine, Randy and Tito. The family also believes Murray was responsible for the singer's death. "All Michael wanted to do was sleep. 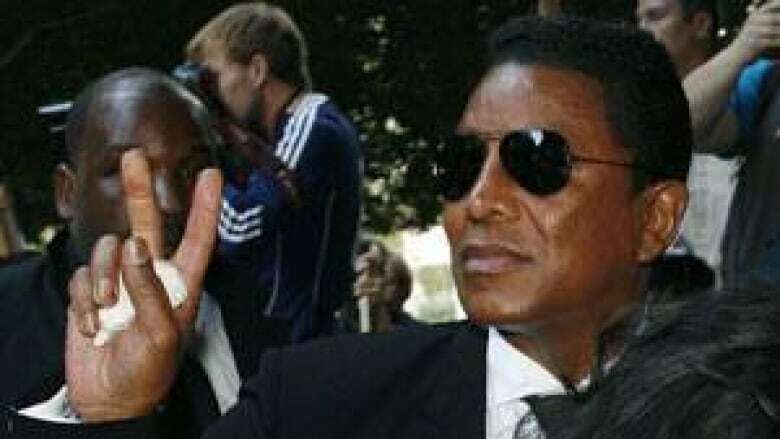 He didn't want to die," said his older brother, Jermaine Jackson. The case will enter a crucial final act in a packed courtroom with opening statements and the start of testimony. Worldwide media and audiences are expected to tune into the trial, as proceedings will be televised and broadcast online. 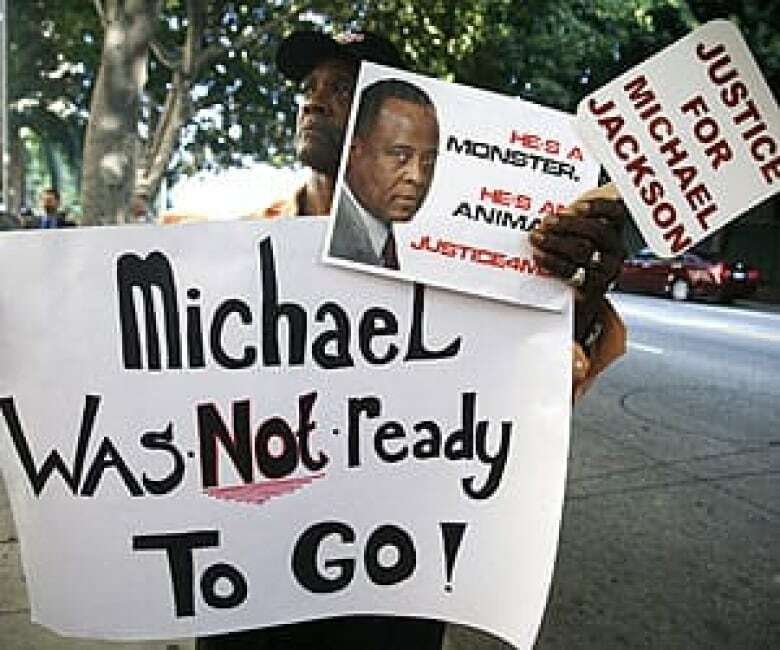 Early Tuesday morning, both Jackson fans and the doctor's supporters had gathered outside the courtroom alongside a crush of international media. The trial will reveal new information and provide a detailed record of the singer's final hours in June 2009. Murray's trial is expected to be the first time that the public hears — in the defendant's own words — his account of what happened in the bedroom of Jackson's rented mansion. Following opening statements, Jackson's choreographer and friend, Kenny Ortega, testified that Jackson was in bad shape physically and mentally less than a week before his death. He said he sent a message to Randy Phillips, producer of the "This Is It" concert, telling him that Jackson was ill, probably should have a psychological evaluation and was not ready to perform. "It's important for everyone to know he really wants this," he wrote. "It would shatter him, break his heart if we pulled the plug. He's terribly frightened it's all going to go away." In response to the email, Ortega said, a meeting was called at Jackson's house where Ortega clashed with Murray, who told him to stop playing amateur psychiatrist and doctor. "He said, 'Michael was physically and emotionally capable of handling all his responsibilities for the show,"' said Ortega, "I was shocked. Michael didn't seem to be physically or emotionally stable." During the next five weeks, prosecutors will rely on Ortega and other witnesses to detail Jackson's final days and hours and explain to a jury of seven men and five women exactly how the King of Pop died. Some of the jurors are Jackson fans, but the panel is diverse. They are men and women of various ethnic backgrounds with occupations ranging from bus driver to college professor. Much of the testimony will focus on the anesthetic propofol, normally administered as a sedative in hospital settings. Prosecutors plan to play (in more detail) a recording of the physician's interview with police conducted two days after Jackson's death, when he revealed that he had been giving the entertainer propofol. The disclosure led to Murray being charged in February 2010 with involuntary manslaughter and nearly 20 months of legal wrangling over how the trial would be conducted. Witnesses' recollections and conclusions about the events will be challenged to a far greater extent than they were during a preliminary hearing earlier this year that resulted in a judge ruling there was enough evidence for Murray to stand trial. Los Angeles has not seen a trial like this since O.J. Simpson's murder trial in the 1990s, and the cameras are ready to roll. By Monday evening, 15 satellite trucks and news vans were parked within a block of the courthouse. In an effort to calm what is already expected to be a media circus, Superior Court Judge Michael Pastor has limited what Murray's lawyers can say about Jackson's history with drugs and his financial troubles. Prosecutors are similarly prohibited from mentioning some of the messy details of the doctor's personal life, including his sizable debts and several mistresses. If prosecutors follow the same script they employed during Murray's preliminary hearing, the early part of the case will likely move in chronological order, beginning with Jackson's final days and then moving into his final hours. After the singer's security guards, paramedics and emergency room doctors take the stand, the case will then move into more forensic and scientific territory.